The trophies list for The Frozen Dawn zombies map has been leaked, revealing a new set of Wonder Weapons that give players the chance to experience a Warhammer, Sword, Morningstar and Scythe in COD WW2. The full set of trophies is listed below, which although short and sweet, do reference these unique weapons. Each of the weapons is locked behind a challenge or trial. 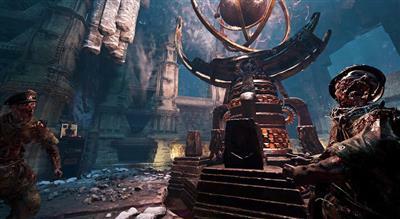 Other trophies in the list, such as The Final Descent, reference The Lost City of Thule that was teased in the promotional blog post about the map. This Lost City is a labyrinth of tunnels and vertical challenges. For Easter Egg hunters, the Kingfall trophy appears to be the maps EE achievement which will unlock the final DLC 4 cutscene and conclude the Sledgehammer zombies storyline. 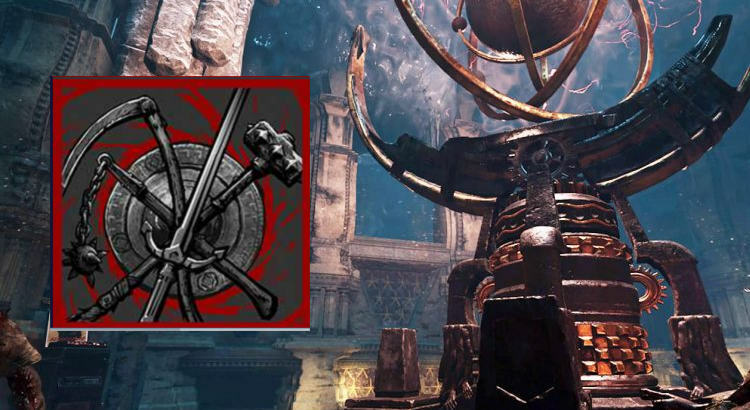 For the completionists amongst you, the Weapon Lord trophy is earned by building all of the Raven weapons and killing 100 zombies with each weapon in a single match. The Final Descent - enter the Lost City of Thule. The four trophies: Moonraven's Chosen, Deathraven's Chosen, Bloodraven's Chosen and Stormraven's Chosen, all relate to the four wonder weapons of the map. Players must successfully complete a specific challenge (trial) to unlock each of the new weapons. For example, surviving the trails of the Stormraven will unlock the Warhammer (Hurricane) weapon which can summon a temporal storm. As you can clearly see, the weapons are all melee variants. Midnight - a legendary morning star (medieval club-like weapon with chain and ball) said to smash through the ranks of oncoming foes like moonlight through shadow. Reaper - a legendary scythe (pole shaped weapon with curved blade like the Grim Reaper would use). Bloodthirst - described as a legendary sword, Bloodthirst was said to boil the very blood of the unworthy, but it had originally been one half of a paired set of blades. Hurricane - a legendary warhammer with the power to summon a mighty storm.. The Frozen Dawn zombies map is available on September 4th, first on PS4.